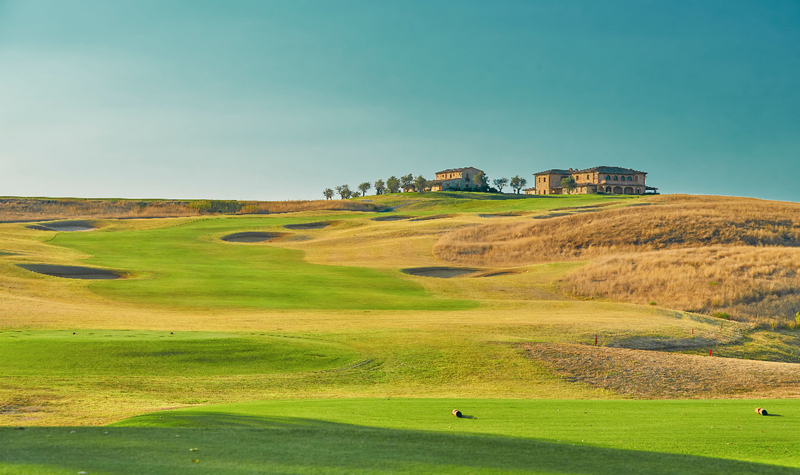 The Royal Golf La Bagnaia Course is the first Tuscan, 18 holes designed by renowned architect Robert Trent Jones, Jr. 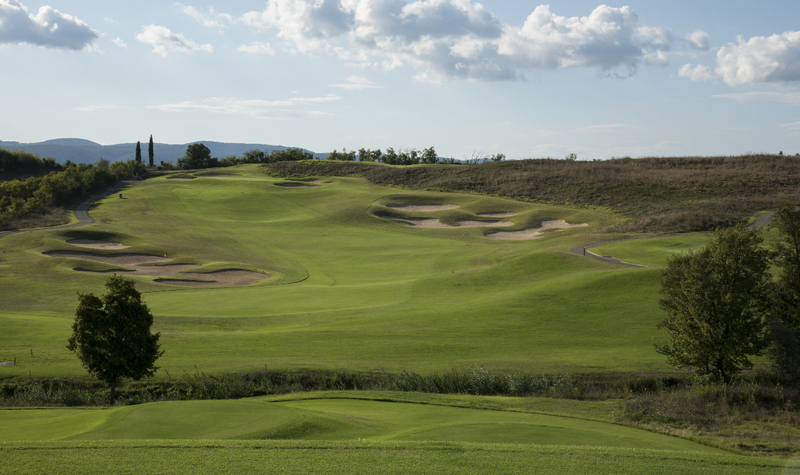 It is a Par 71, which is 6,101 metres long, covering an area of 1300 hectares, perfectly harmonized within the gently rolling hills of Siena. 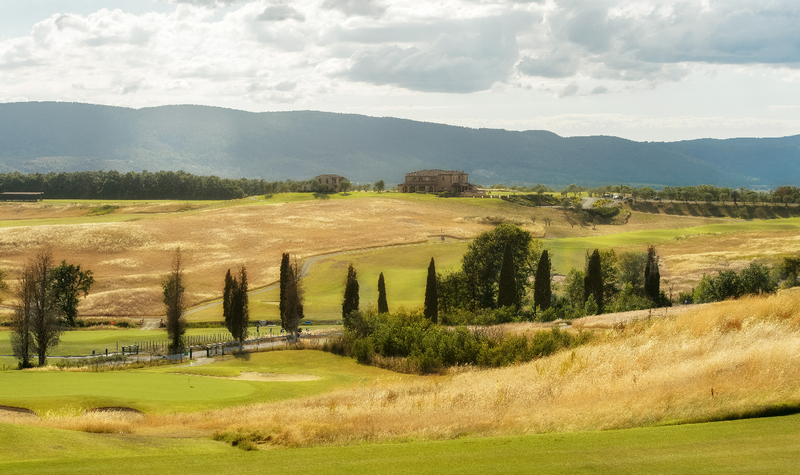 The Tuscan landscape is a typical example of Inland Links, which refer to the Scottish Highlands with the “Rough” that waves in the wind. 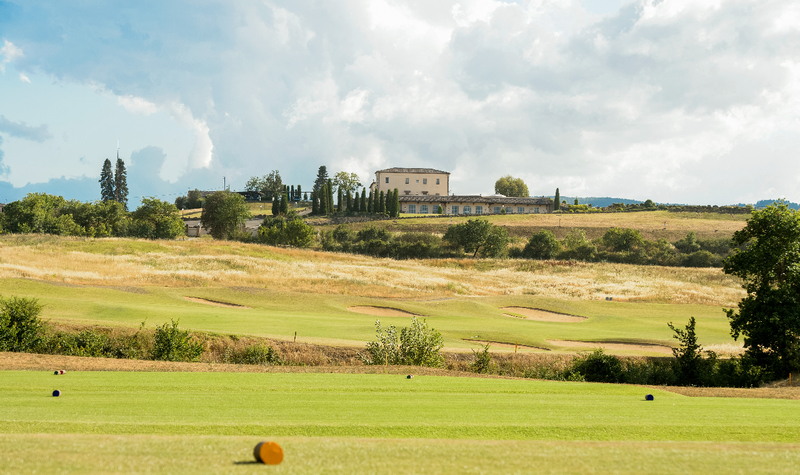 The course is enhanced by beautiful lakes and a majestic Club House, where you can enjoy a unique view on all 18 holes and the towers of Siena. 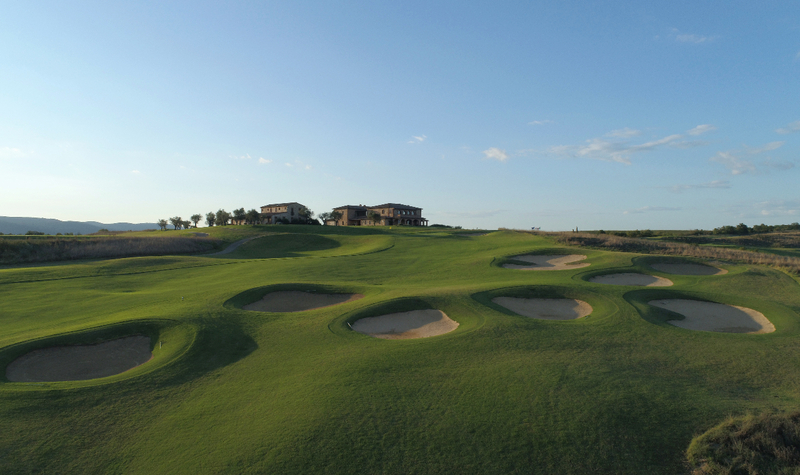 Playing on this course is made unique and exciting not just thanks to the mastery of Trent Jones, but also to the incredible views across nature and the medieval city of Siena that are available from every hole.